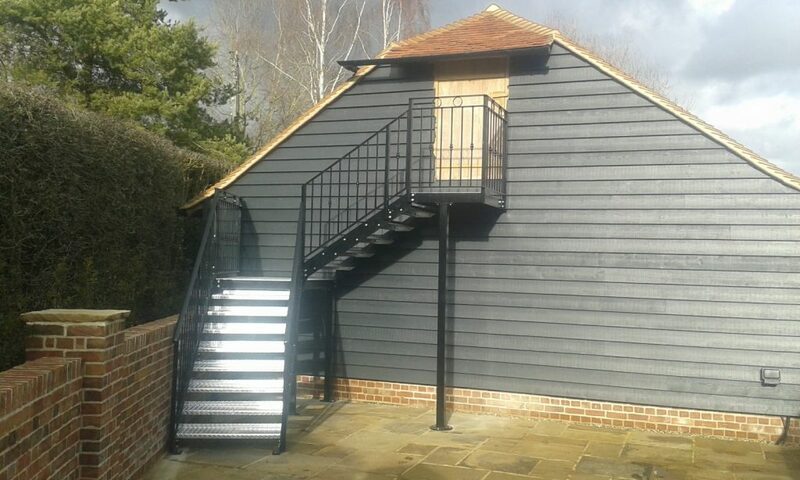 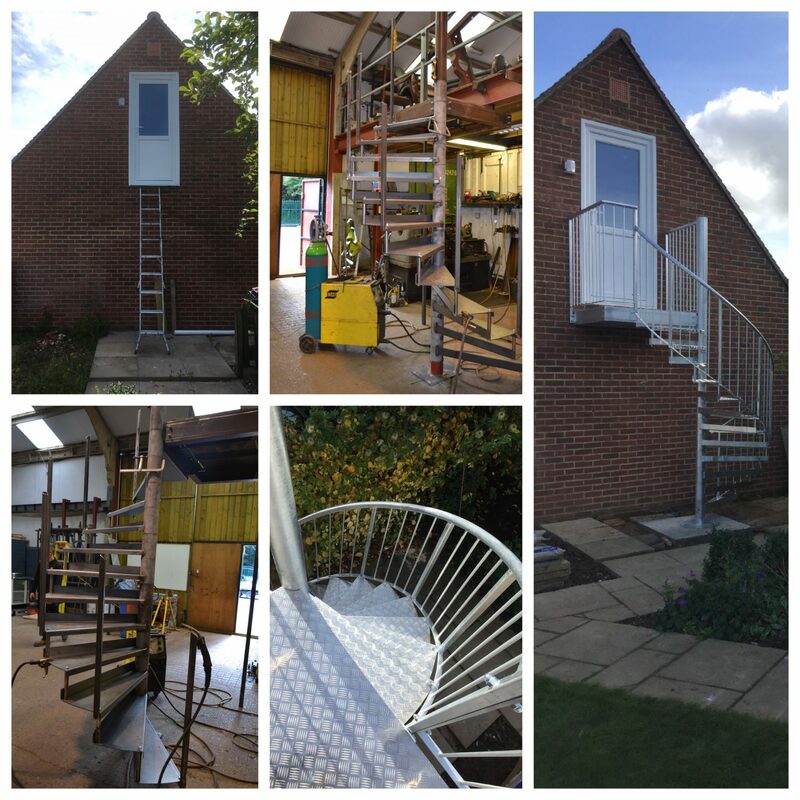 We make stairs of all shapes and sizes – from highly practical, tough, commercial staircases, through to specialist disability access ramps and amazing spiral flights of fancy for traditional or modern homes. 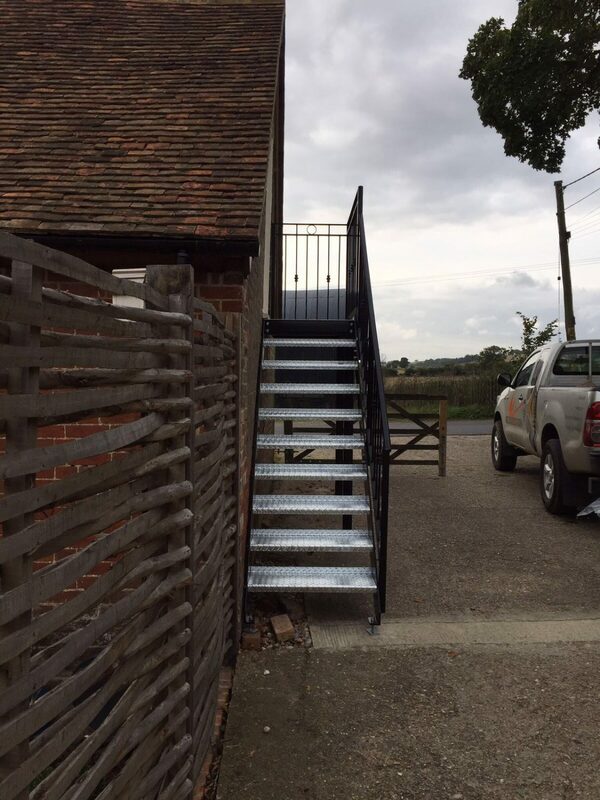 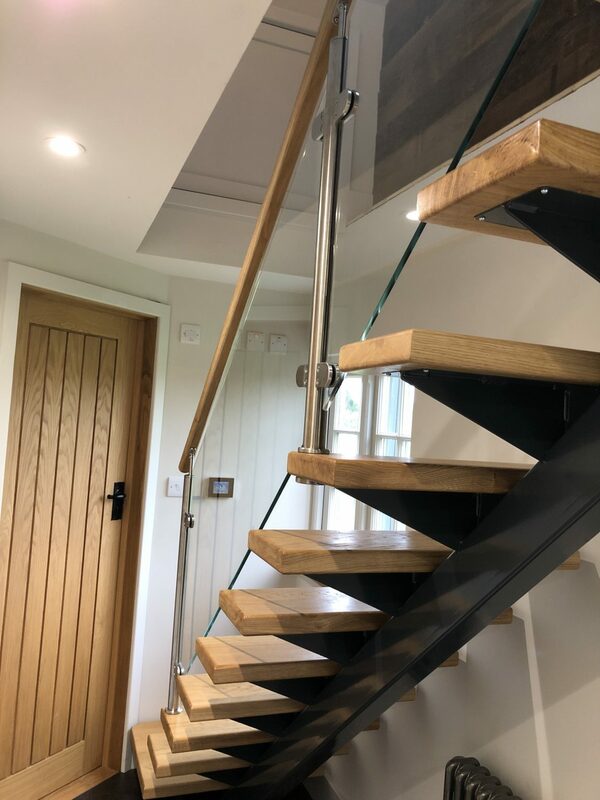 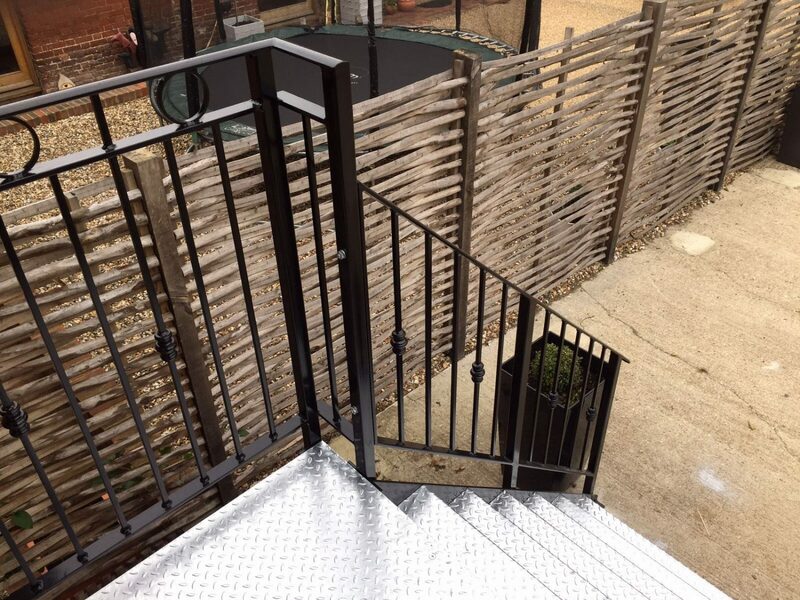 Metal staircases offer fantastic advantages, including resistance against changes in temperature and the strength to cope with different levels of stress. 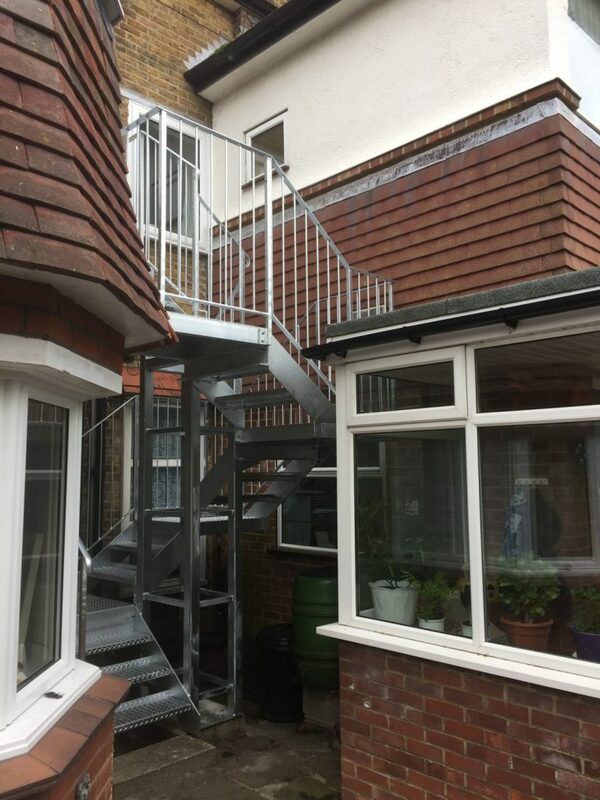 This is also what makes them suitable for a range of conditions, including domestic and commercial use, as well as indoor and outdoor installation. 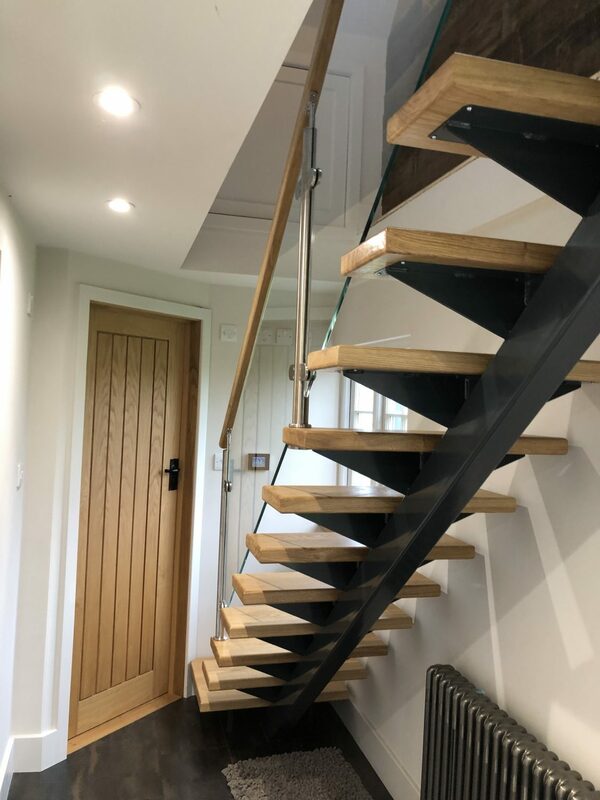 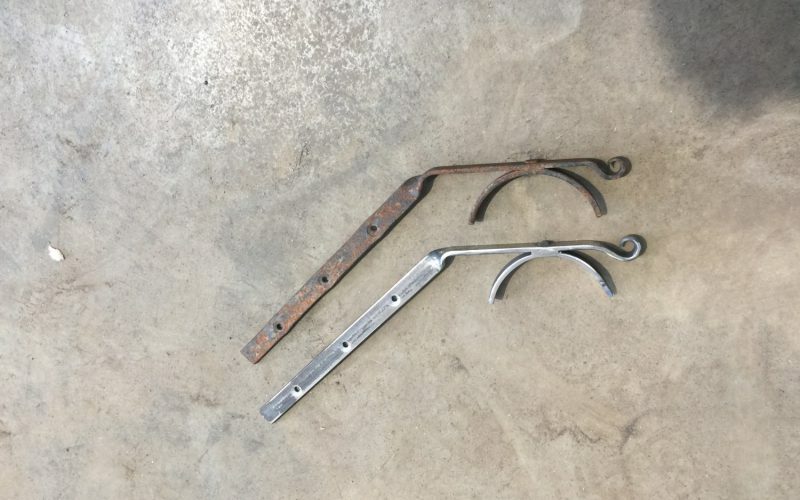 In addition to their strength, they retain a versatility that can cover both practical needs and more elaborate, artistic designs. 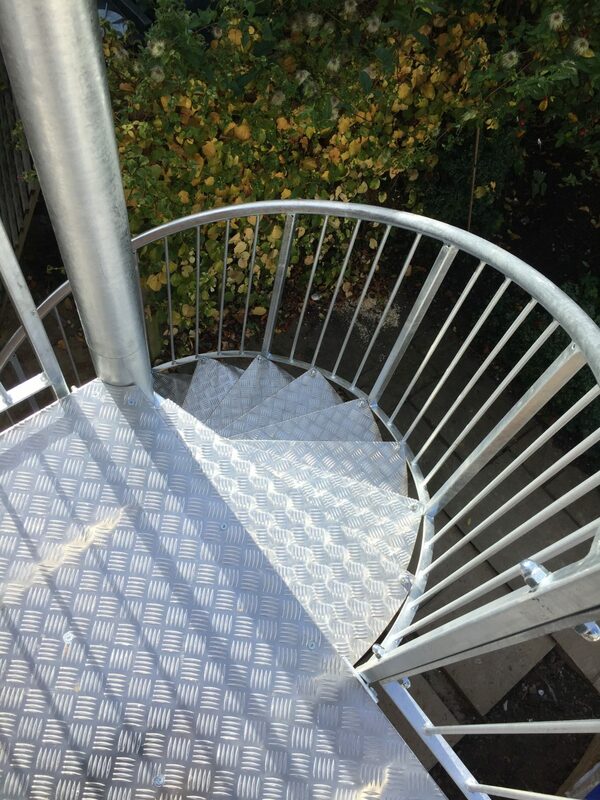 Whether you’re installing a spiral metal staircase or a steel ramp, all of our staircases are CE marked to ensure quality and safety. 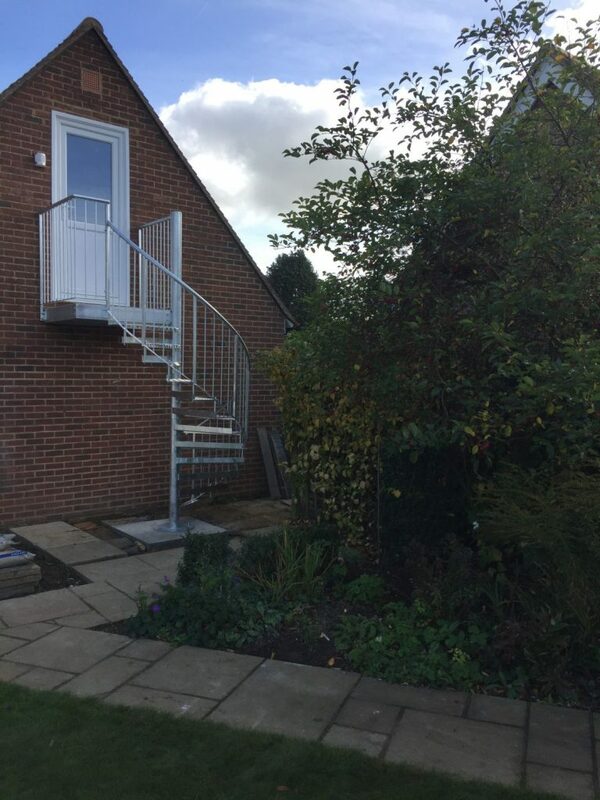 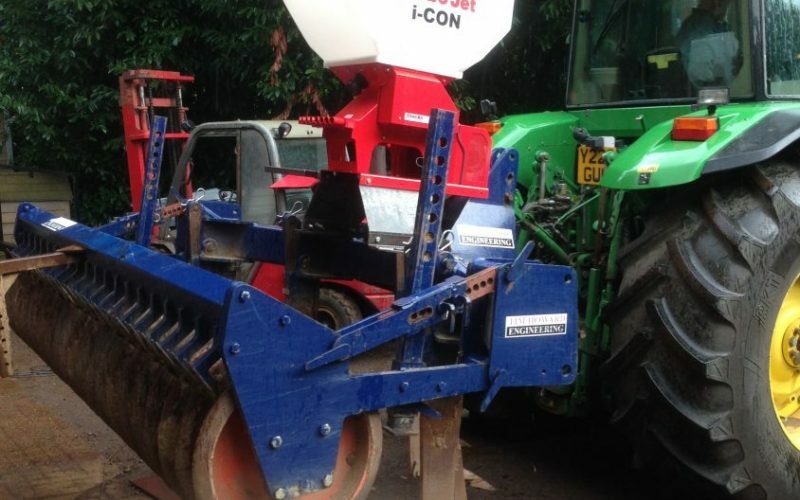 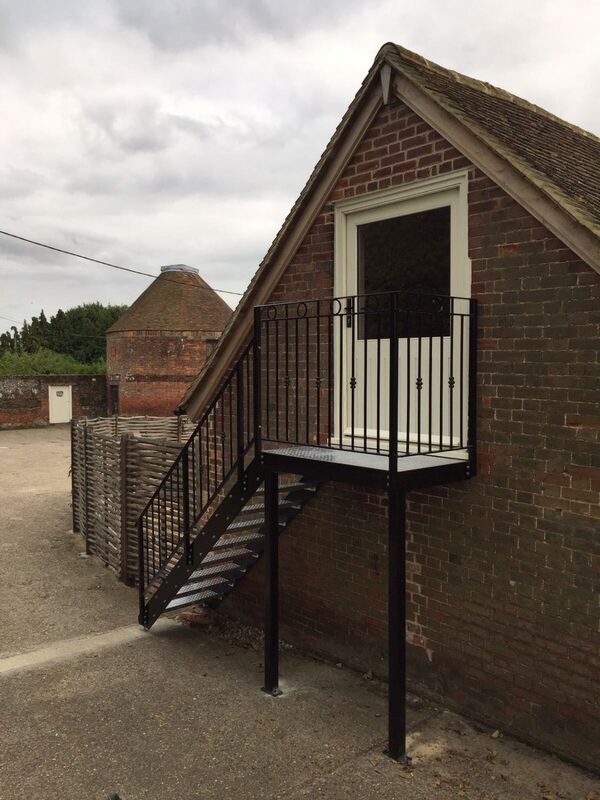 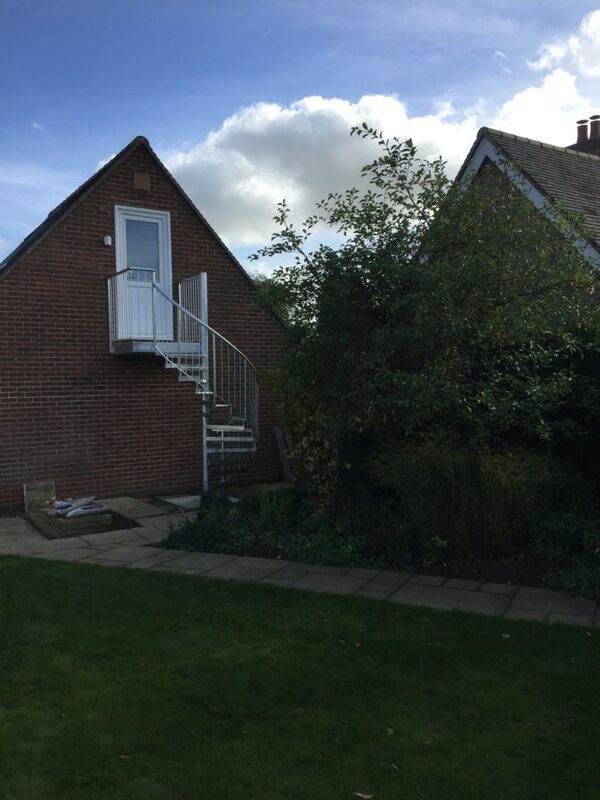 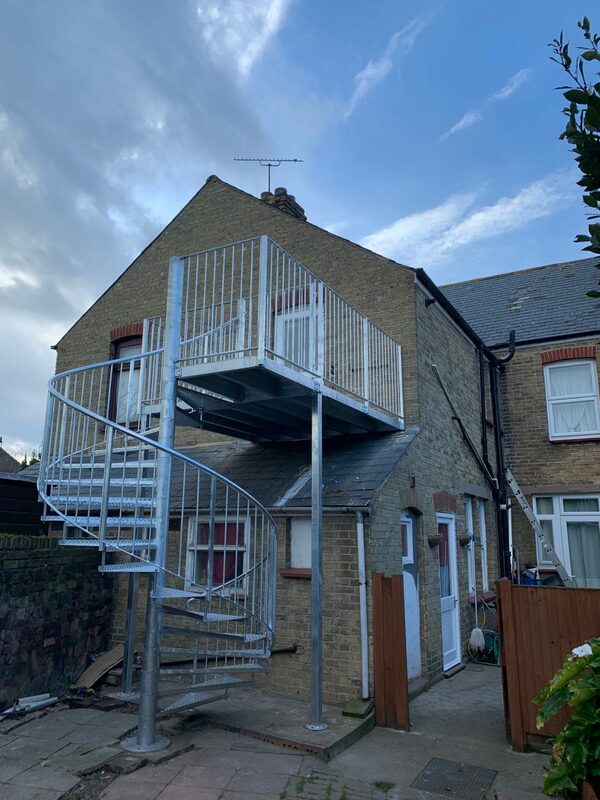 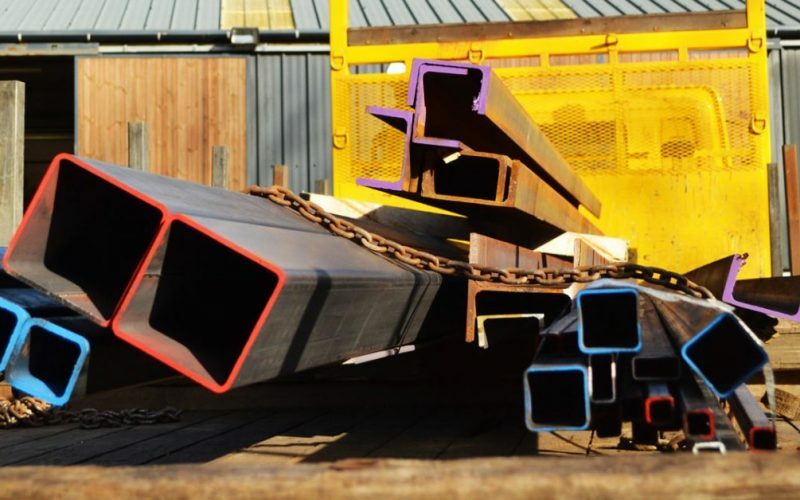 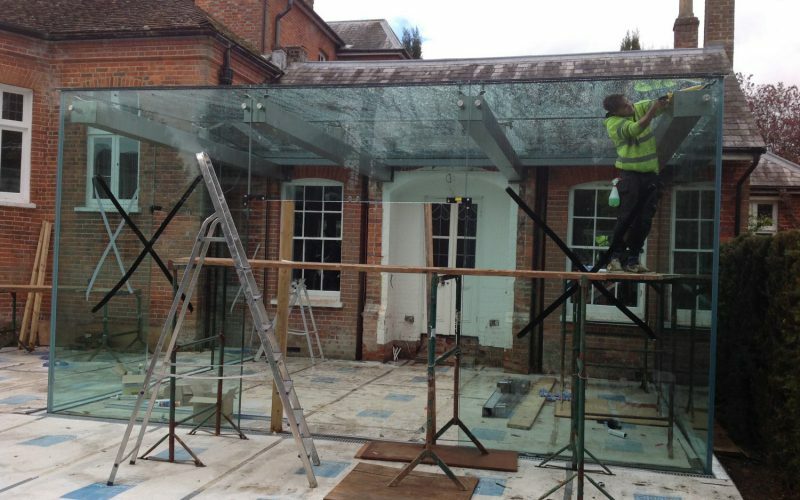 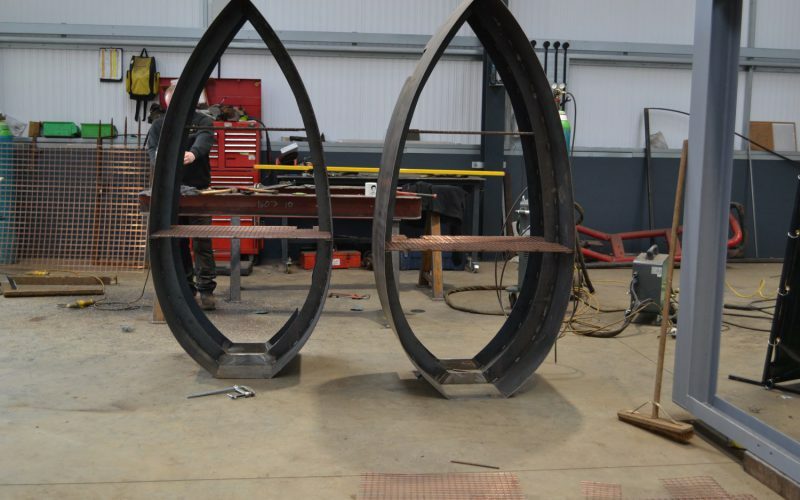 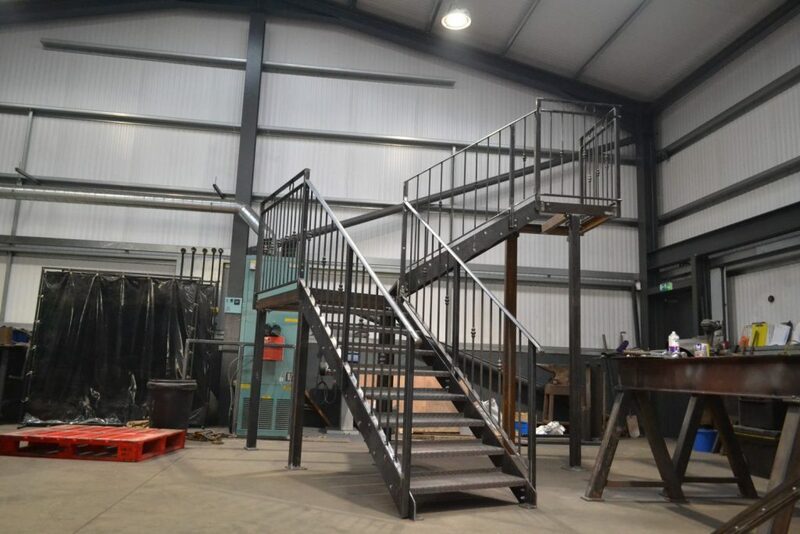 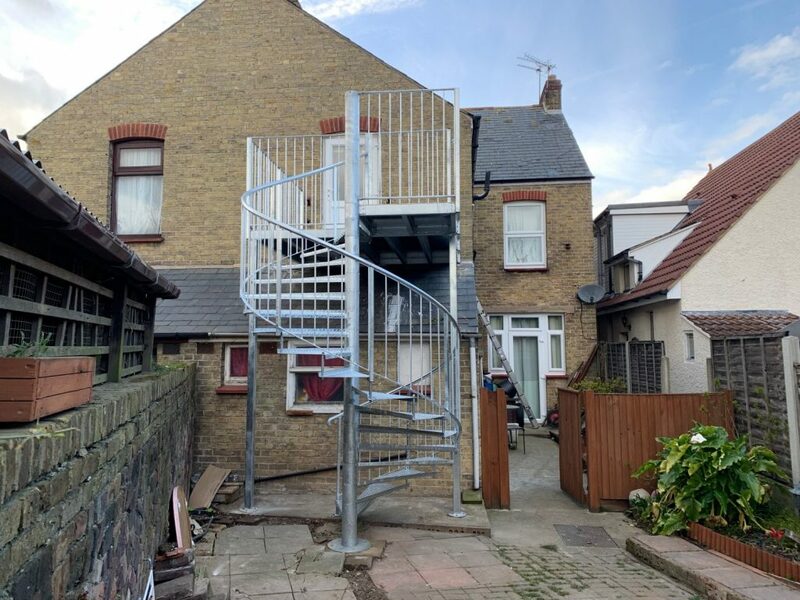 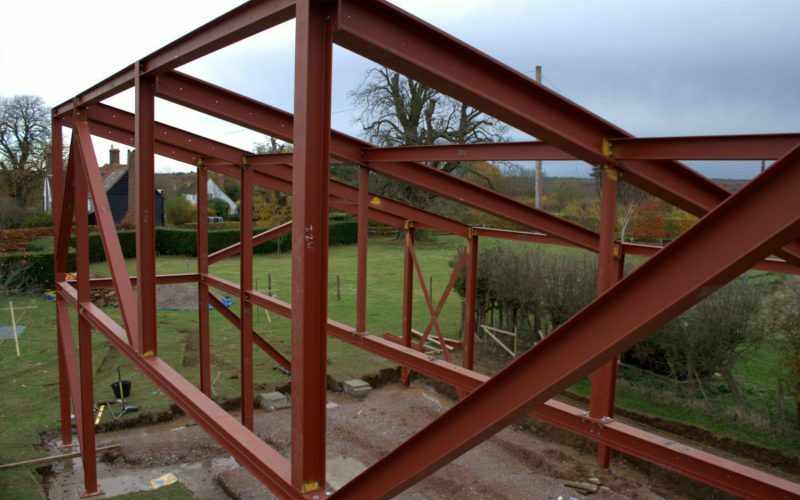 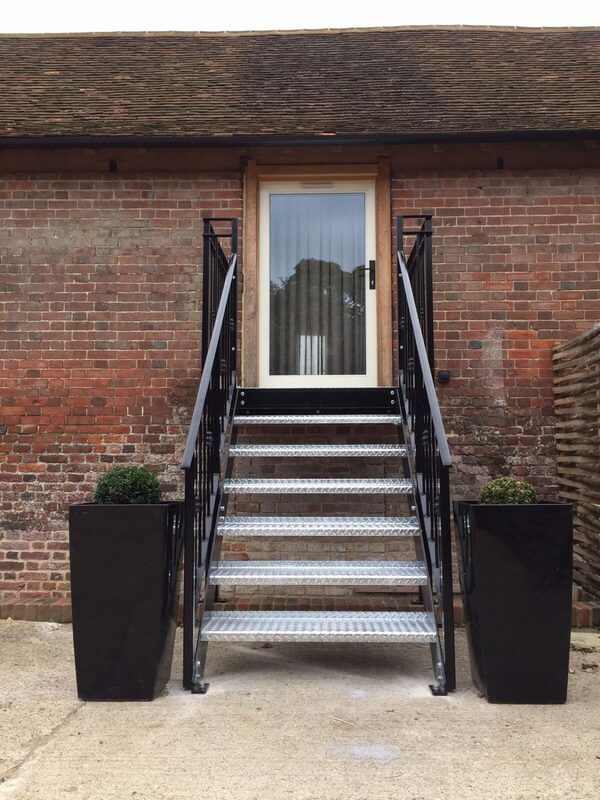 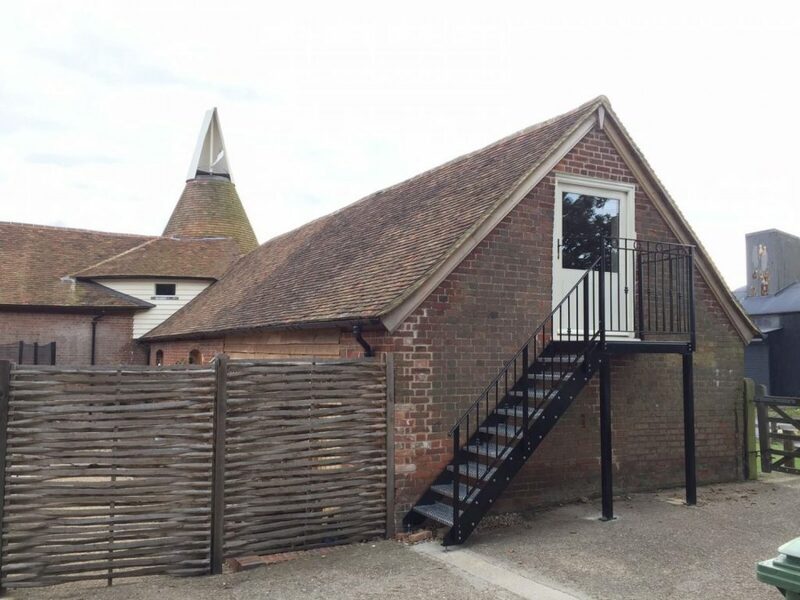 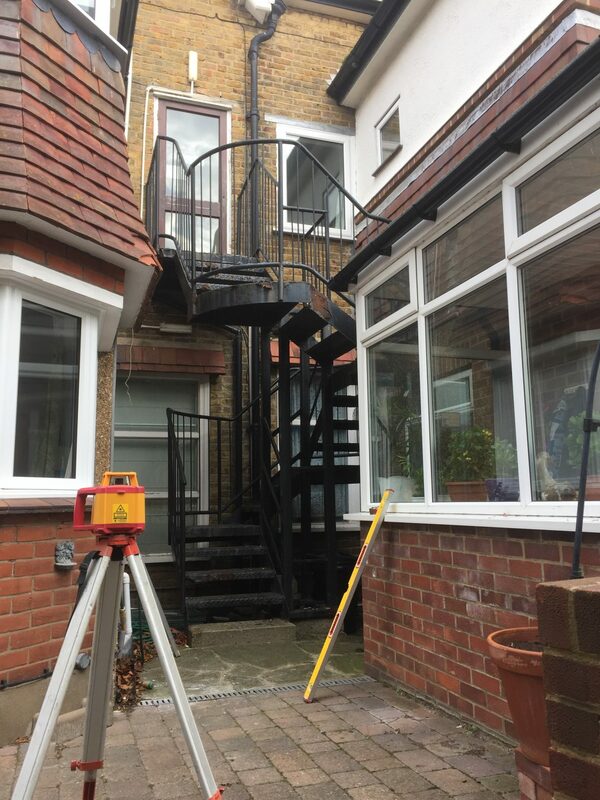 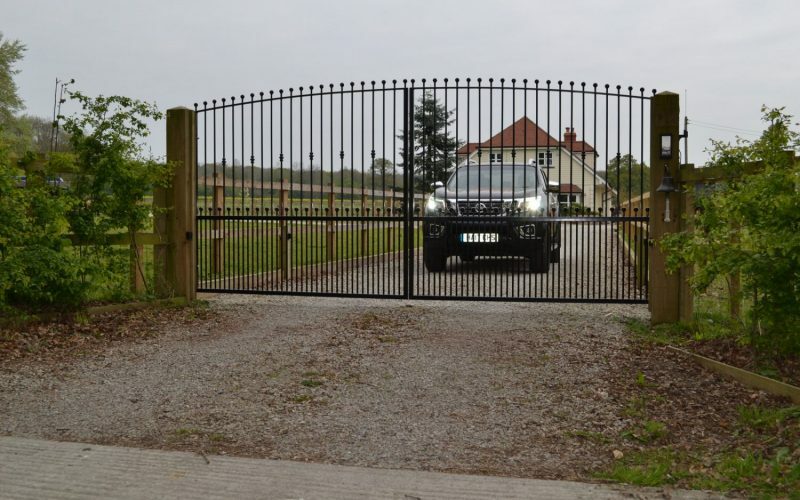 Our team of welders have vast experience working with different staircase designs, materials and welding techniques, meaning we can deliver to your needs and specifications, whatever the job. 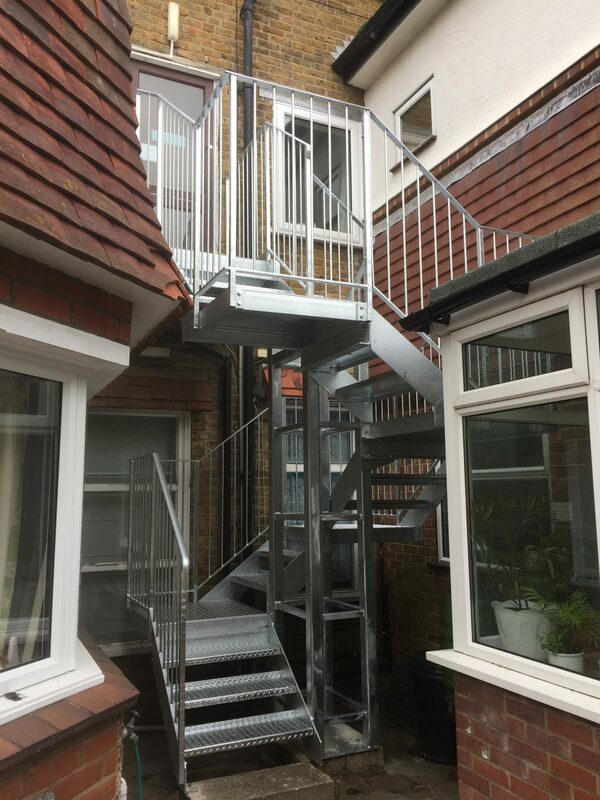 Projects we have worked on include fire escapes, spiral stairs, straight stairs, quarter- and half-turn and metal staircases with wooden treads. 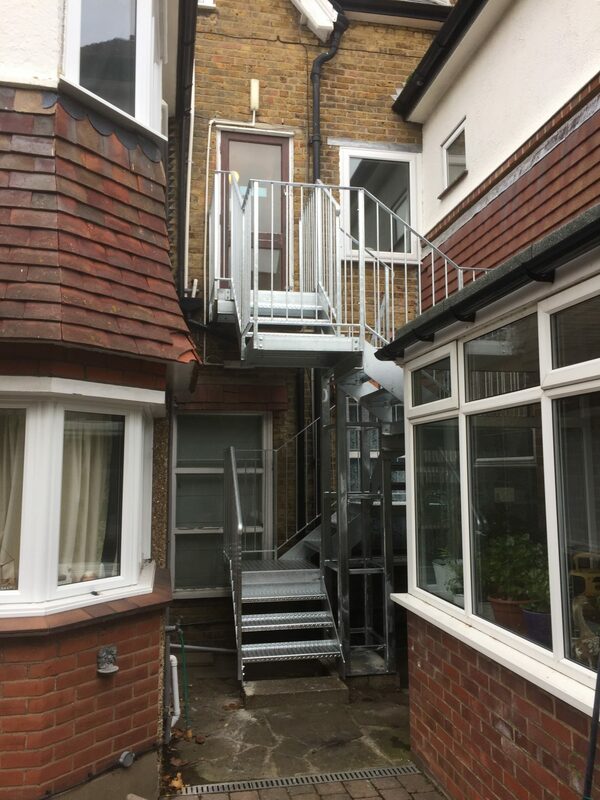 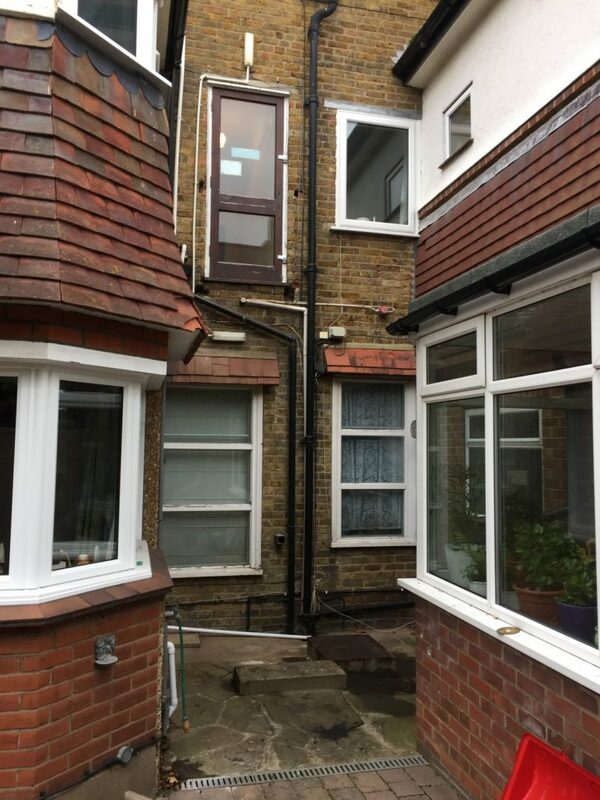 Talk to us about your access needs, and together we can work on finding a solution that’s both practical and attractive.